We recently teased an apparel collaboration we’ve been working on with Axcess to celebrate his recent release of his Rebel Against Society mixtape. Well everything’s in place now and it’s finally time to reveal what we’ve been working on. This piece has been fully designed by us and we really tried to capture the essence of not only the mixtape, but who Axcess is as an artist. We used aggressive typography for the front ‘REBEL’ design to invoke his more aggressive approach this time around, and we used three hand symbols on the side to portray his values of empowerment, spirituality, and peace. 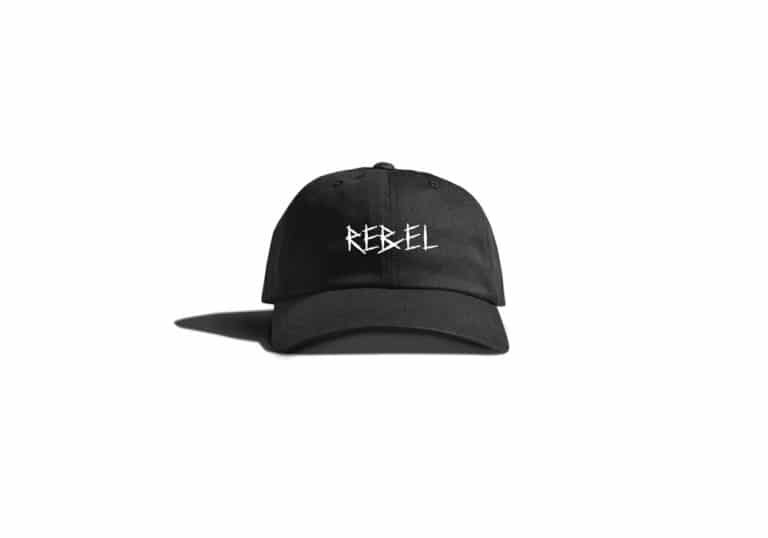 These Rebel Dad Hats are now in production and we’re offering a special price, along with an additional 30% off coupon for a future purchase for all preorders taken before their release in a couple weeks. This is a VERY limited release, so don’t miss your chance to grab one of these one of a kind pieces. What do you think about this design? Let us know in the comments below.